The No.1 ranking animated TV series airing on Disney channel Miraculous, tells the story of Marinette, a charismatic girl who magically transforms into a courageous and vivacious superhero and saves the day using her super-hero powers, the mysterious lucky charm and her unique power of "creation" to restore happiness and peace for all. MAAD Toys™ is excited to offer an entire collection of colour in bags to compliment a huge retail offering, supported by this incredibly successful show. 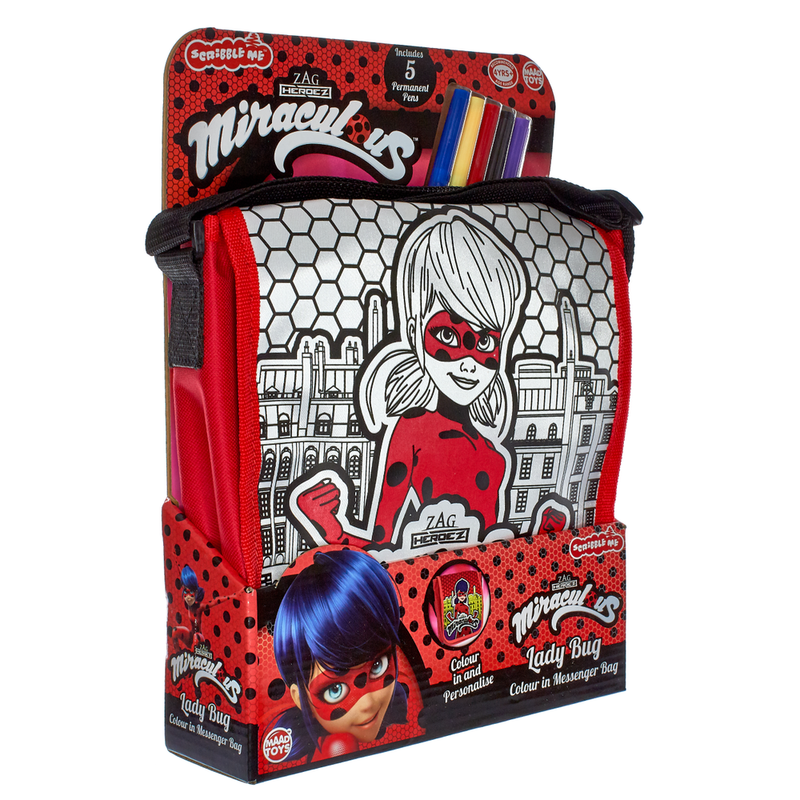 Now every fan of Miraculous can confidently save the day with there very own colour in bag! 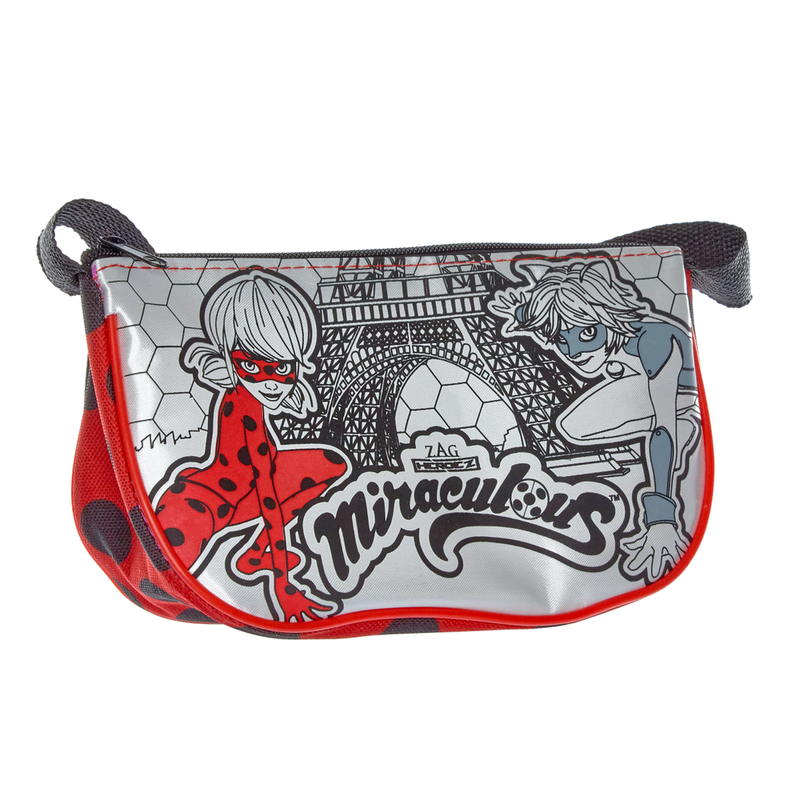 Fans of Miraculous can now enjoy our wonderful new Scribble Me Colour In Messenger Bag. This bag features a classic Lady Bug pose against a back drop of Parisian town houses and the iconic Miraculous hexagonal pattern. Constructed from strong robust fabrics, this bag is suitable for everyday use and comes with five permanent markers to colour and customise. Fans of Miraculous can now accessorise with the cute and customisable, Miraculous Scribble Me Colour In Handbag. Featuring both Lady Bug and her crime fighting partner Cat Noir posed heroically against the Eiffel Tower, any fan of the show will enjoy colouring and customising there very own handbag with the five permanent markers included. This bag is constructed from robust fabrics and zips closed keeping contents safe and secure. 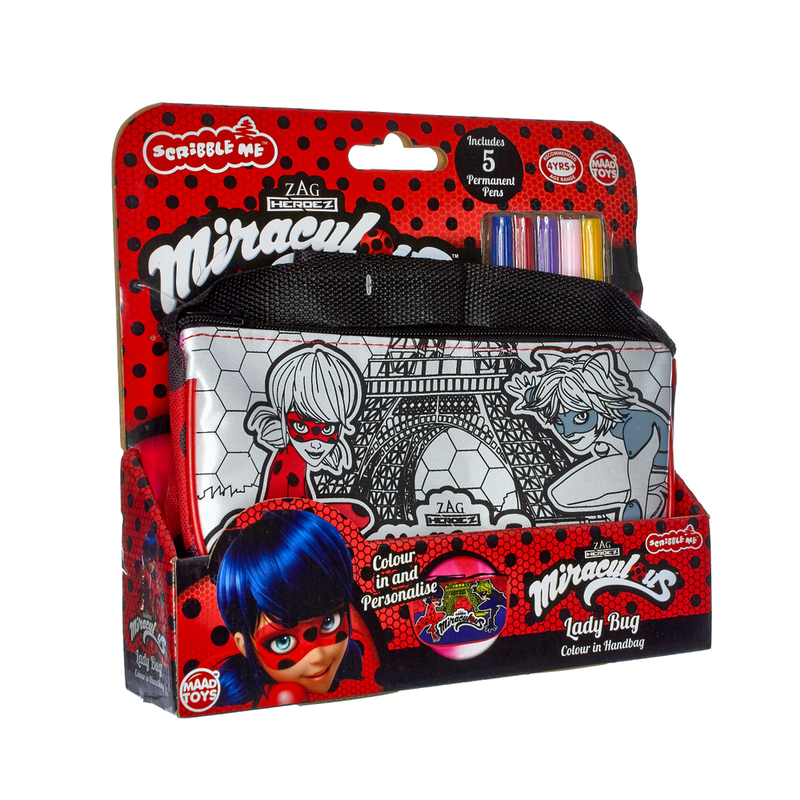 Fans of Miraculous can now accessorise with the cute and customisable, Miraculous Scribble Me Colour In Back Pack. Featuring both Lady Bug and her crime fighting partner Cat Noir posed heroically against the Eiffel Tower, any fan of the show will enjoy colouring and customising there very own back pack with the five permanent markers included. This bag is constructed from robust fabrics and zips closed keeping contents safe and secure. 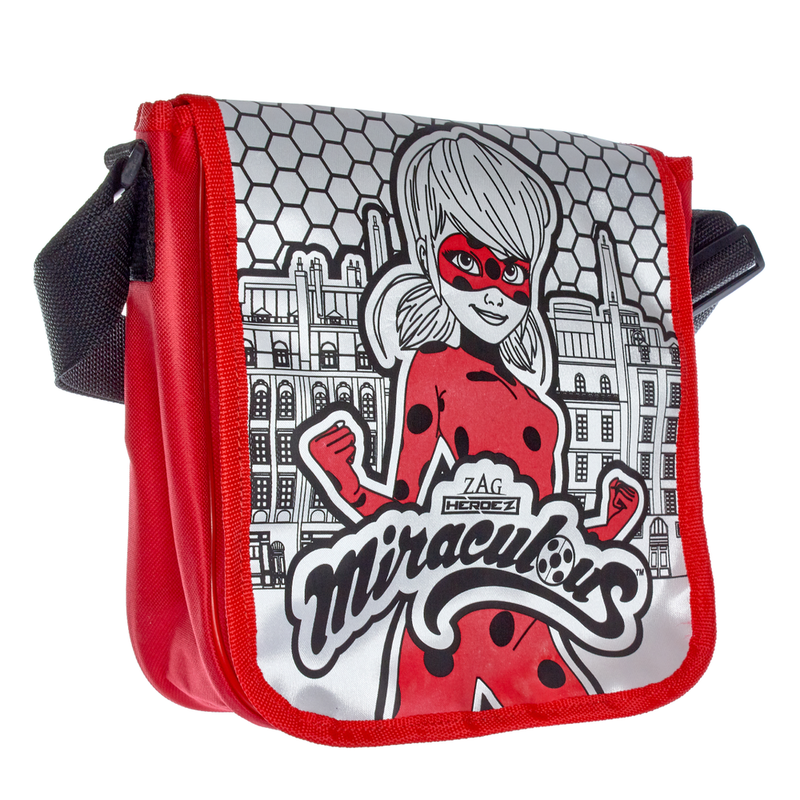 Fans of Miraculous can now accessorise with the cute and customisable, Miraculous Scribble Me Colour In Shoulder Bag. 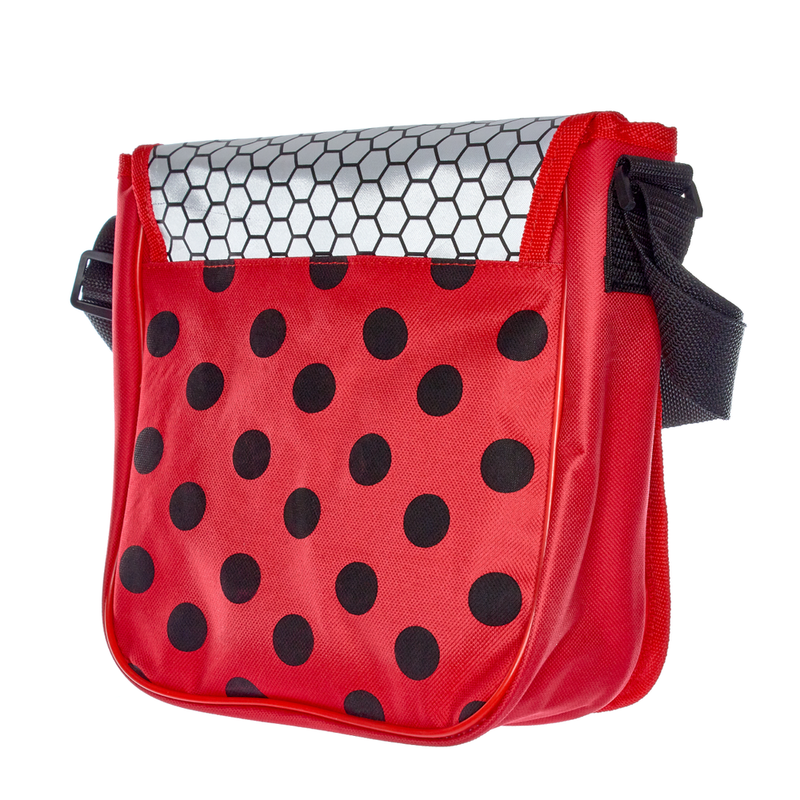 Featuring a reversible design including both Lady Bug and Marinette's hand bag design, any fan of the show will enjoy colouring and customising there very own shoulder bag with the five permanent markers included. This bag is constructed from robust fabrics and zips closed keeping contents safe and secure. Fans of Miraculous can now accessorise with the cute and customisable, Miraculous Scribble Me Colour In Purse. Featuring two dynamic Lady Bug poses and the iconic yo-yo design, any fan of the show will enjoy colouring and customising there very own purse with the three permanent markers included. This bag is constructed from robust fabrics and zips closed keeping contents safe and secure.